The Norway DNA project also include local county projects! The local projects shows Y- and mtDNA for tested lines in the specific areas. It means you have to have a Y-DNA or a mtDNA test in order to join. 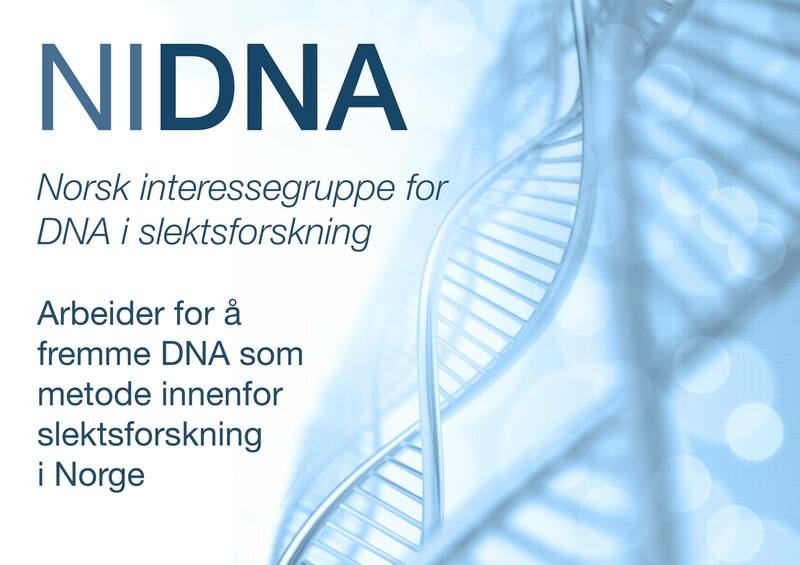 To be a member of the local projects you first have to join the Norway DNA main project. The local projects are primarily to map direct paternal and maternal lines, where the earliest known direct ancestor (father’s father’ father for Y-DNA and mother’s mother’s mother for mtDNA) should originate in the county. Aker – Kristiania/Oslo, Asker/Bærum, Follo, Nedre Romerike. Området deles opp senere når vi har flere testresultater her. Øvre Romerike focus on Eidsvoll and the parishes nearby. Particularly old Eidsvoll where the parish records were lost in fire, DNA test results are a valuable source for genealogy. Sør-Østerdal Slektshistorielag Genealogical Society (SØSHL) has done extensive testing of lines they work with, making the area one of the most densely DNA-tested places on earth. See also the webpages of Sør-Østerdal Genealogy Association in Norwegian. Gudbrandsdalen is one of the areas of Norway where we have very old written sources. Lines can be followed quite far back. The project aims to verify and document some of these. 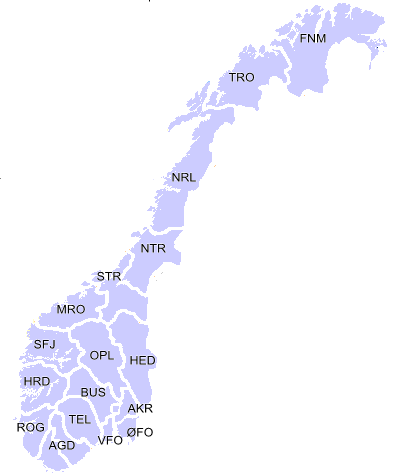 Nordre and Søndre Gudbrandsdalen shown in one list. The Forest Finn Project: Fennia.nu has used DNA-testing for years to trace the lines back to Finland, from the Norway and Sweden settlements. The Forest Finns from Savolax have had hereditary surnames for several hundred years, unlike other Nordic countries/cultures. See DNA-project Forest Finn for DNA-results and more.